Whatever property plans may be under way within your family – such as taking someone off a title, adding someone, paying out someone’s mortgage, building an extension or granny flat, changing ownerships or occupancies – we will know the best and least expensive path to follow in finalising your proposal and ensure the risks of future squabbles are minimised or prevented. If there should be a likely conflict of interests we will want all parties independently legally advised and represented. If you are thinking about giving away a property, we can assist by making sure the paperwork is correct and legally achieves what you want. 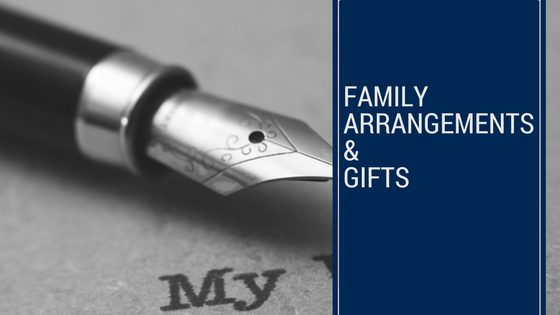 In the process you may require us to advise early on the stamp duty, taxation, superannuation, pension and any other unforeseen consequences of your gift – not only for you but also for the person or persons who will benefit from your kindness.